All 44 presidential candidates, including the five that have withdrawn their candidacies, published their provisional pre-election financial reports for review and analysis by the Central Election Commission (CEC) and the National Agency for the Prevention of Corruption (NAPC). The reports, due March 25, were presented on the CEC and NAPC websites and demonstrate that candidates use different approaches for raising campaign money. Volodymyr Zelenskyi, Anatoliy Hrytsenko and Yuriy Boyko received large number of donations from individuals and businesses. Some candidates have received no donations to their electoral funds, including incumbent President Petro Poroshenko who relied solely on his own funds and Yuliya Tymoshenko who used money from the political party that nominated her. According to the Presidential Election Law, the CEC and the NAPC must publish their analysis of these reports no later than on the last day when candidates are allowed to submit the reports, which constitutes a legal flaw that should be addressed before the next election. The combined CEC and NAPC analyses published on March 25 found that 17 of the reports revealed signs of campaign finance violations such as accepting donations from persons with tax debts or providing incomplete financial information. The CEC and NAPC combining efforts to evaluate campaign finance reports is a welcome development. Still, the quality of analysis could be improved with increased focus on major violations, such as shadow financing and unreported expenses, that could undermine the fairness of the election. Money raised and spent by the candidates to date is significantly higher than during the 2014 presidential election. In 2014, no candidate raised more than UAH 100 million during the entire campaign; in 2019, five candidates raised more than UAH 100 million in just the first reporting period. The electoral law does not set spending limits for presidential candidates which could result in an uneven electoral playing field and disadvantage candidates without ties to large private donors. Similar to the 2014 election, most campaign money has been spent on media advertising. 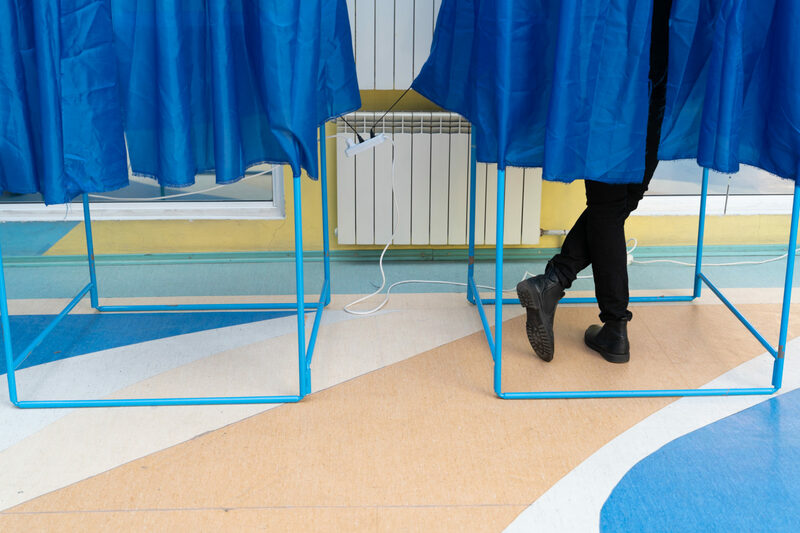 The Council of Europe, the United Nations Human Rights Committee and IFES recommend that restrictions should be imposed on how much money a candidate or political party can spend on campaigning. Special consideration should be given to restrictions on political advertising on television, radio and outdoor signs – an established law and practice in many European democracies. IFES will continue to follow the presidential candidates’ financial reporting as well as the oversight activities by the CEC and NAPC to facilitate effective implementation of the 2015 Political Finance Reform Law and more transparent campaign financing in Ukraine.